Apple has reclaimed its crown from Samsung and become the most selling smartphone vendor in the world. While many vendors posted losses this quarter, Apple broke all previous records by selling 37 Million iPhones and 15 Million iPads. 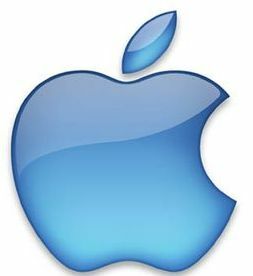 According to a study undertaken by strategy analytics, Apple has bitten off about one–fourth – 24 percent of the smartphone cake. Its total sales have boomed reaching close to 128 percent more than last year. Samsung, on the other hand, has claimed 20 percent of the market this quarter but if the look the sales of handsets year around, it emerges as the market leader. It seems the smartphone market top spot has now become a two-horse race between Apple and Samsung. But, the surprise package was Nokia, which despite posting losses this quarter has managed to come at the third place, by posting 13 percent growth in this quarter. The smartphone market keeps getting interesting day by day. One thing that we are waiting to see in the future is how the Google controlled Motorola will fare. The smartphone, we hope keeps transforming and provide us handsets that have us jumping with joy again and again. Samsung to reveal Galaxy Tab 11.6?